POWDERLY -- Earl Wayne Ewings, 49, of Powderly died Thursday, Sept. 16, 2010, at his home. He was a self-employed carpenter and member of Victory Baptist Church in Greenville. Survivors include a son, Dylan Ewings; a daughter, Jessica Ewings-Stanley; his parents, Aloysius and Irene Smith; and three sisters, Donna Horton, Patty Ewings and Vicki Wood. 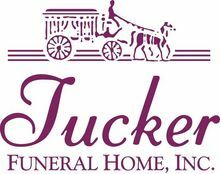 Services: 1 p.m. Monday at Tucker Funeral Home in Central City. Burial: Cessna Cemetery in Powderly. Visitation: After 5:30 p.m. today at the funeral home.